In an interview with Bloomberg’s Erick Schatzker, Wences Casares described Bitcoin as a “really interesting intellectual experiment” that may or may not work. He notes that even if the whole experiment ends up failing, the learnings derived from such an experiment would still be highly beneficial. Casares is the CEO of Xapo, whose main products are a Bitcoin wallet, cold-storage vault, and debit card. His founding of the company back in 2014 and his subsequent persistent lobbying of the merits of Bitcoin to prominent Silicon Valley personalities has been credited as a major catalyst in sparking the Valley’s interest in the cryptocurrency. 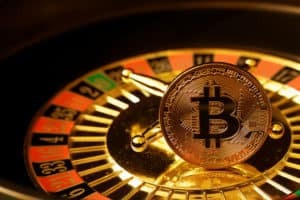 Nevertheless, despite his personal and business interests, he maintains that it is “irresponsible to not acknowledge that this experiment could not work,” further noting that the chances of the Bitcoin experiment not working out was “non-trivial.” However, he does clarify that at this point in time, he believes that the chances of success are higher than the chances of failure, although in his view it would take at least seven more years to make that determination in the case of Bitcoin. Casares goes on to describe the current state of Bitcoin and cryptocurrencies as being similar to the Internet back in 1992. Back then, the full scale of the Internet that we are familiar with today was nothing but a far-off conception, and there was a very real sense also that the whole Internet experiment could fail. As Casares says, back then you couldn’t even download a simple picture off the Internet. Of course, looking back now, it appears that its success was inevitable, but that is only due to hindsight bias. If Bitcoin and cryptocurrencies do end up becoming a major component of the future, we can expect a similar back-fitting of the narrative. In the enlightening second half of the interview, Casares simplifies the three main functions of blockchain. In his words, these three functions are on, being a sovereign and autonomous computer system; two, being censorship-proof; and three, having a limited supply (in the case of Bitcoin). In his thoughts on the future of cryptocurrencies, he disagrees that Bitcoin will eventually replace fiat currencies. Instead, he states that in a world where Bitcoin succeeds, it would instead be used a “global, non-political standard of value.” For instance, he envisions a future where both fiat currencies and commodities could be quoted in BTC. Casares closes off the interview by saying that he believes that there is “huge bubble going in altcoins and ICOs.” Clearly, despite the number of cryptocurrencies out there today, he remains a Bitcoin maximalist. Bitcoin’s ‘Patient Zero’ Describes Bitcoin As an Intellectual Experiment That Could Fail was originally found on [blokt] – Blockchain, Bitcoin & copy trading cryptocurrency.